The long-festering argument between satellite operators SES and arch-rival Eutelsat has been resolved. The dispute centres over access to 500 MHz of frequencies at the 28.5 degrees East orbital position. A Eutelsat craft was occupying the position. Back on September 16th last year, following the decision of a French Chamber of Commerce arbitration, SES announced that it had won the dispute and would start transmission on October 4th on its own satellite, which it duly did. Eutelsat’s clients switched to the SES satellite. Eutelsat contested the decision, saying it would also appeal an earlier August 30th verdict achieved by SES at a Bonn, Germany court. 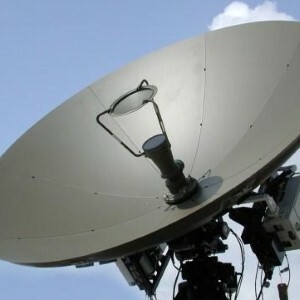 The announcement from both parties clears away those complaints, and reinstates a working relationship between the two giant satellite operators. In essence, the dispute is completely settled, and fresh commercial terms agreed. Eutelsat can lease certain transponders from SES at wholesale rates, which it can then sell on to third parties. Also as part of the complete deal, both SES and Eutelsat have agreed to co-ordinate most of their frequencies in the orbital arc that stretches over most of Europe (from 1 degree East to 52.5 degree East) and thus maximise revenues from existing and new markets that fall under their separate satellites. The agreement also gets close to the old established status quo which has existed between the two parties since 1999 (the Intersystem Co-ordination Agreement). For SES, it can now proceed with fully utilising and planning for its Astra 2E, 2F and 2G satellites. While 2E and 2F are already in orbit, 2G is not scheduled for launch until later this Spring (Q2). Eutelsat estimates the impact on revenues for its fiscal year 2013-2014 at approximately -€5 million. There will be no impact on revenues in the two following years. Eutelsat will publish H1 2013-14 results on February 14th 2014.